The prosencephalon is the anterior portion of the brain, that develops from the anterior part of the neural tube and appears first on E9. 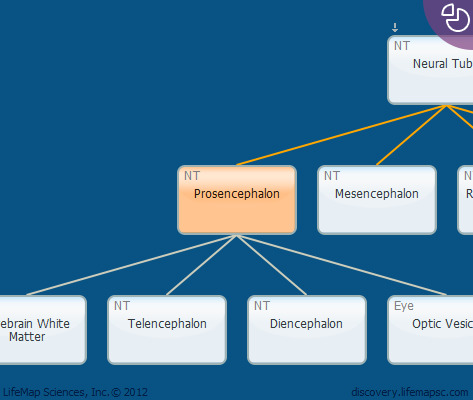 It is sub-divided into two major parts: the telencephalon and the diencephalon, both of which can be first detected on E9.5. The telencephalon gives rise to the cerebral cortex and the striatum, while the diencephalon gives rise to the thalamus, hypothalamus and the retina.